The Kentucky Blues Society is an affiliate of the Blues Foundation, which is based in Memphis, TN. website address: www.blues.org. Now Taking for Applications for KBC 2018! 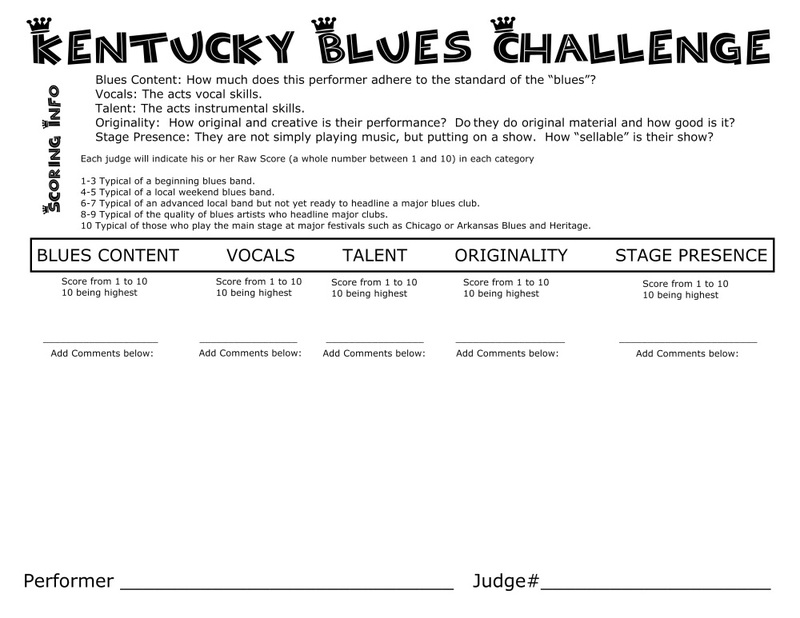 KY Blues plans to have musical representatives in two categories for IBC 2019. Band and solo/duo. Our selection process will use the same criteria as the IBC. To find out more about IBC 2019, go to International Blues Challenge webpage. For bands or solo/duo submitting to be an entrant you must have recordings or video we can check out. Or we need to have heard you live. Due to the competitive nature of IBC, you must have the capability of scoring a category average of 7.1 or greater through the IBC scoring system. Deadline to apply to enter will be announced once we have 2 contestants in either band or solo/duo categories.